To be fair, Blace Brown of Troy only held Jesper Horsted for about 30 of the 38 yards before he made the catch. No complaints, though, because for the purposes of participating in the East-West Shrine Game on Saturday, it couldn’t have worked out any better. It was an eye-opening play, not only pretty good for an Ivy League bookworm, but for any NFL draft candidate. He caught one other pass in the game, an uncontested four-yard out. Also went the practice week without a drop while dropping the names of Stephen Carlson, John Lovett and Charlie Volker on any scout who would listen. There is Princeton Pro Day for all these guys to come and undoubtedly many interviews with teams to follow. Preliminary, in St. Petersburg, the scouts wanted to hear straight from Horsted’s mouth that baseball is over. Their team will not be wasting a pick on him the last weekend of April. He officially closed the book on his eligibility at Princeton by playing in an all-star game and signing with an agent–Carter Chow of Yee and Dubin, who also represents Chad Kanoff of the Arizona Cardinals. But baseball really has been over for Jesper since last summer, no time in the batting practice cage anymore for a busy wideout and Princeton senior who took a semester final exam–proctored by an alum–even while in St. Pete for the week. Horsted has another final Tuesday before getting back to his thesis on Wednesday. 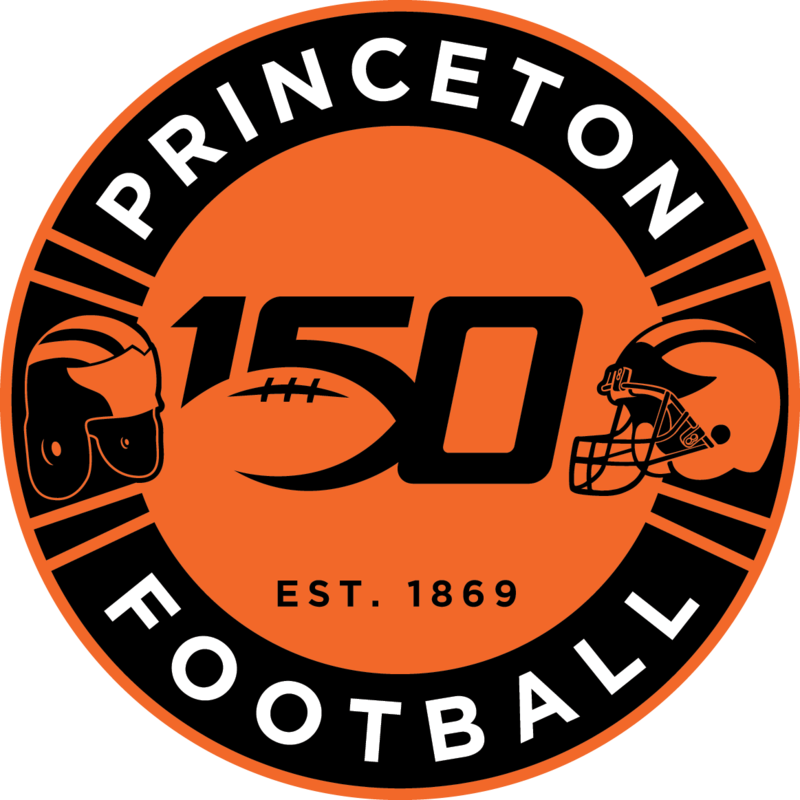 But only the 11th invitation of a Princeton player ever to the Shrine Game was not going to be turned down, obviously. Disney World is an hour-plus up the road. But right there in St. Pete for a week was a magic kingdom for dedicated aspirants such as Horsted. They roomed him with three other FCS players. Hey, we thought segregation went out with Brown vs. Board but these “little school” guys, were invited because they played as big as their eyes to the whole experience. “I had a lot of fun,” Horsted said. “The beginning was chaotic–300 scouts in the lobby, grabbing you, non-stop for two or three days is a little overwhelming. “Falling when [the week] did definitely wasn’t ideal but something I had to make work. You can put a lot of really good stuff on film to point people in the right direction but people won’t necessarily believe what they see, need more tangible stuff against the best competition. That’s the way the scouting world operates, I gather. 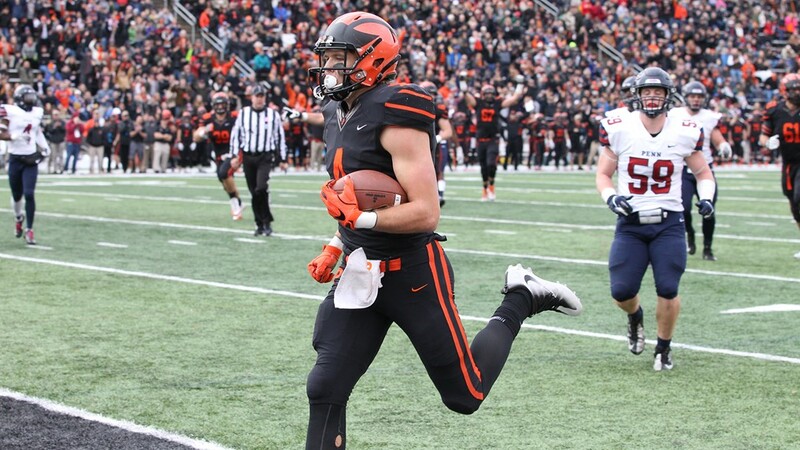 To review: Twenty-eight touchdown catches, tied for fifth most in Ivy history; 2,703 yards 10thmost ever in the Ivies, numbers tempered, too, by a balanced Princeton offense and the presence of a second target, Carlson, with NFL potential. But while there were 24 Ivy players on NFL rosters this season, Horsted still was the only representative of the league at the Shrine Game, so the battle for validation is ongoing. All week he went up against guys with NFL-level measurables like his own and measured up. “It definitely boosted my confidence,” Horsted said. “But at the same time you realize there is more you can work on. I learned a lot from the wide receivers that were there, they had a different attention to detail.